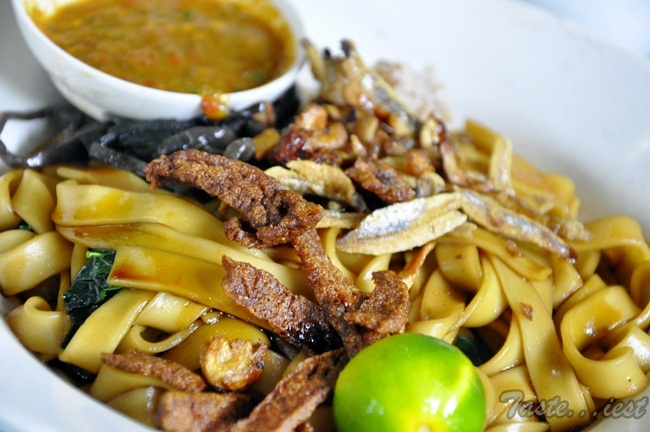 Penang food has been selected as one of the best in Asia by CNN, honestly Penang signature food deserve the title such as the famous Laksa, Hokkien Mee, Loh Mee, Wantan Mee…etc are so delicious and every tourist must give it a try. Looking for a good breakfast in Penang can be easy as you can go to almost every wet market to enjoy cheap and delicious breakfast but parking can be troublesome, today we going to share a couple of good place for breakfast but as usual parking is also a problem and good food always have to wait. 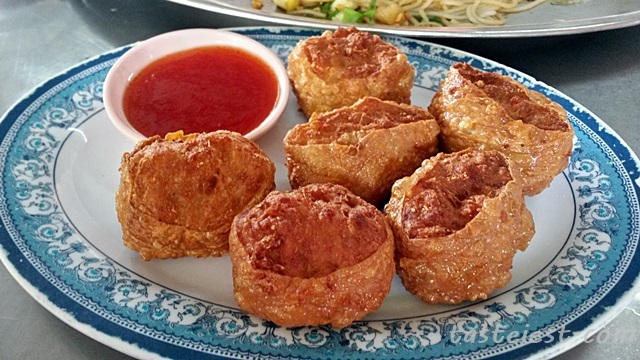 Dim Sum is no longer Ipoh delicacy instead it is one of the Penang most welcome breakfast both by local and tourist. Among the famous dim sum such as Zim Sum Restaurant, Red Tea House Dim Sum , Maxim Dim Sum, Qi Xiang Dim Sum…etc. 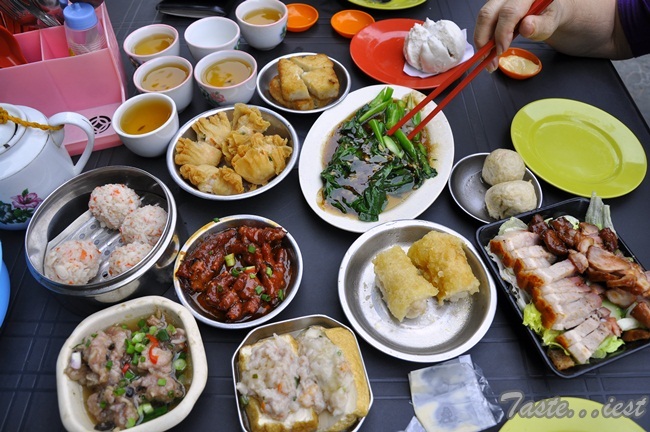 Having whole table fill with small plate of food and a pot of hot tea is really a big enjoyment, various food available in most of the Dim Sum Restaurant such as Fried Dumpling, Chee Cheong Fun, Pao, Oyster Sauce Vegetable, Steamed Fish Bal…etc. 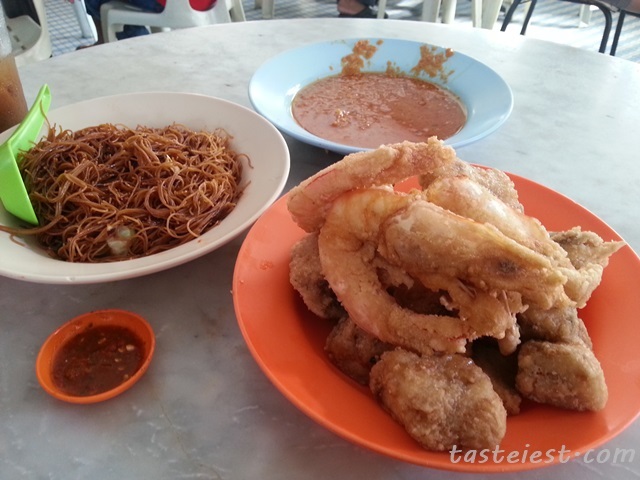 Goh Chew Deep Fried Fish Beehoon Mee is located at the popular food street New Lane, although everyone know this street for dinner time but there is one cafe open in the morning and served delicious deep fried fish and prawn. The prawn and fish is so delicious and deep fried to perfectly crispy while the chili sauce provided is so limited that you have to be there early else it finish fast. Song River Cafe Gurney Drive, offering morning Chu Char with great variety of food. 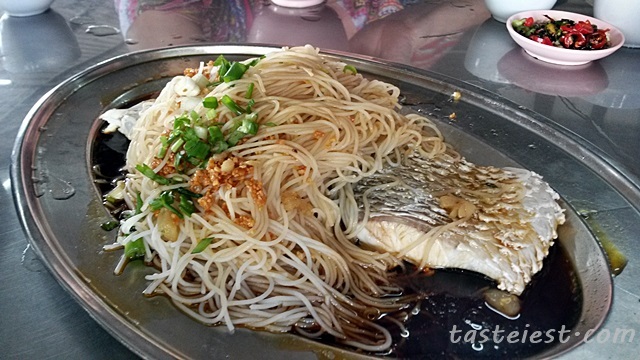 Steamed Fish Bee Hun is among the best and must try, fresh fish meat steam with high quality soy sauce top with springy rice noodle is just awesome. Famous for it white bak kut teh as well which doesn’t has strong herb taste but it has very strong meat flavor. Another must try items is the Heh Cho(Prawn) and Jim Cho(Crab), a mixture of Prawn or Crab with fish paste deep fried to golden color and taste extremely good. Roti Canai is another must try local delicacy, Roti Canai is a Malay food that is extremely reasonable price which you can get at RM1 each and 2 pieces of Roti Canai can easily fill an adult stomach. 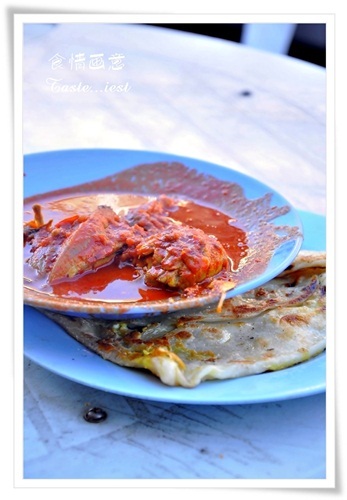 The famous Roti Canai is definitely Transfer Road Roti Canai Road Side Stall, open early in the morning serving great Roti Canai with Curry Chicken. 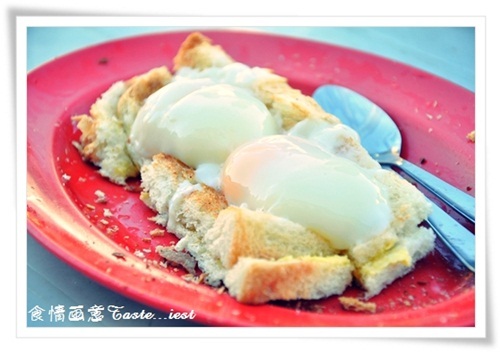 They have a special Half Boiled Egg Toast which is very interesting as well, two big half boiled egg served on top of crunchy toast with butter and kaya. What about Nasi Lemak? 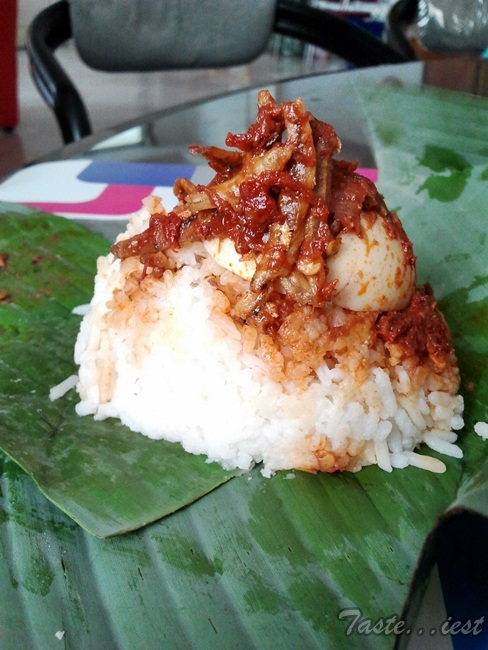 Yes, probably you know that every Malaysian like Nasi Lemak and it is our default breakfast. The famous Ali Nasi Lemak located at Beach Street is so well known that local always buy from them and tourist has purposely go there for a pack of spicy and sweet Nasi Lemak. 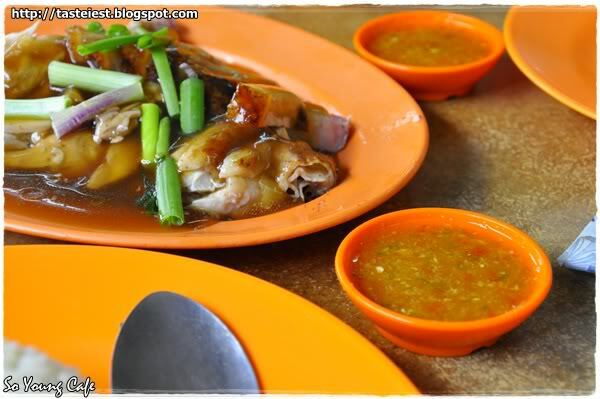 Chicken Rice is another must try in Penang where you can easily get at almost every street in Penang, Chicken Rice at So Young Cafe is very famous and their rice is very fragrance which use pandan leave and chicken oil to cook, the chicken is very tender and flavorful. Give it a try and you will love it. 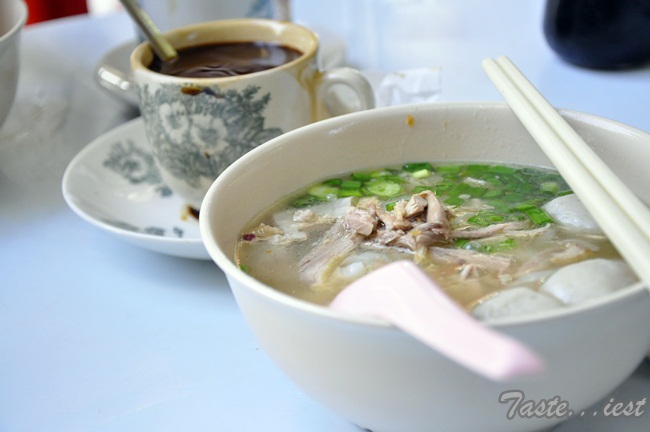 Koay Teow Thng is local favorite breakfast as well, clear soup with smooth koay teow and yellow noodle served with duck meat and fish ball. There is two stalls in Georgetown area which served great Koay Teow Thng, Pitt Street Koay Teow Thng and 113 Cafe Duck Meat Koay Teow Thng. 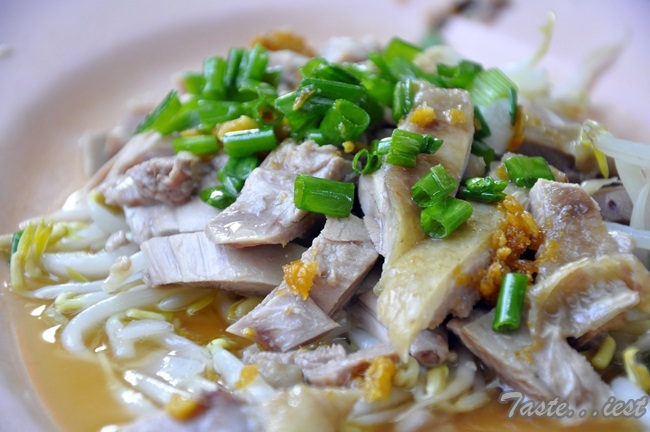 Pitt Street Koay Teow Thng – 183, Carnarvon Street, 10100 Penang. Well, if you want something that is extremely healthy then you must try Pan Mee. The one located at Pangkalan Weld has been in operation for many years and lately they has expanded their business to have many branches in Penang Island. I Mum Mum Restaurant offering great pan mee with delicious soup. Well, those are the list of breakfast we recommended and we will keep adding in more when we found something food.